You have nothing to lose and so much to gain. Give Bust Bunny natural breast pills a chance, and you can change your life! You can have the body you’ve always wanted using a method that’s safe, cost-effective, and proven to work. We at Bust Bunny would love for you to be pleased with your purchase. Should you have any questions, comments, or concerns, be sure to inform us by sending us an e-mail. We will be sure to get back to you as soon as possible, as your feedback is vital to us. 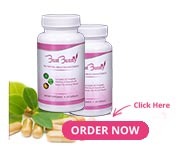 In the unfortunate event that you come to a decision that our natural breast enhancement supplements were not the best choice for you, we would like to right any wrongs. Within 90 days of your purchase, Bust Bunny will reimburse the entire cost,* no questions asked. All you need to do is send us your sealed bottle within the 90 days. Simply e-mail us and tell us you were not satisfied with the pills. We are proud of our 99% satisfaction rate. The majority of our customers will recognize a boost in size, volume, and firmness in three to four weeks. Nevertheless, for the best possible permanent effects you’ll want to take Bust Bunny for between three and six months. Each woman’s body is different, so individual results can vary. Loyal and repeat customers are what allows us to be in business for so many years and continue offering products that WORK! The reason we have such a long guarantee is because we don’t think it’s honest or right to claim “instant changes overnight”. That’s just misleading. We have natural solutions that work WITH the body – unlike surgeries that permanently scar the body and hence, come with lots of long-term negative side effects. 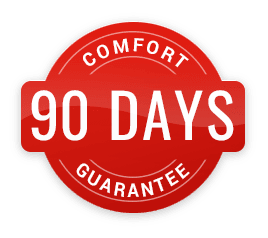 As a first time customer, give our products an honest try for at least 60-90 days* and allow your body to make long-term, natural changes and improvements. IF you aren’t completely satisfied with your results after taking our product as directed by the label, and after discussing your specific situation with one of our staff health experts, then simply contact our support team to attain a Return Merchandise Authorization number – RMA# and return ALL the bottles (opened and unopened) along with your original receipt. Thus, there’s no risk in trying our products… you’ll get a full refund on the purchased price (excluding any potential S/H charges). If ALL bottles are returned within 30-days of your original purchase date, you will receive a full refund. Items returned between 31 to 90 days after your original purchase will receive money back on unopened bottles.